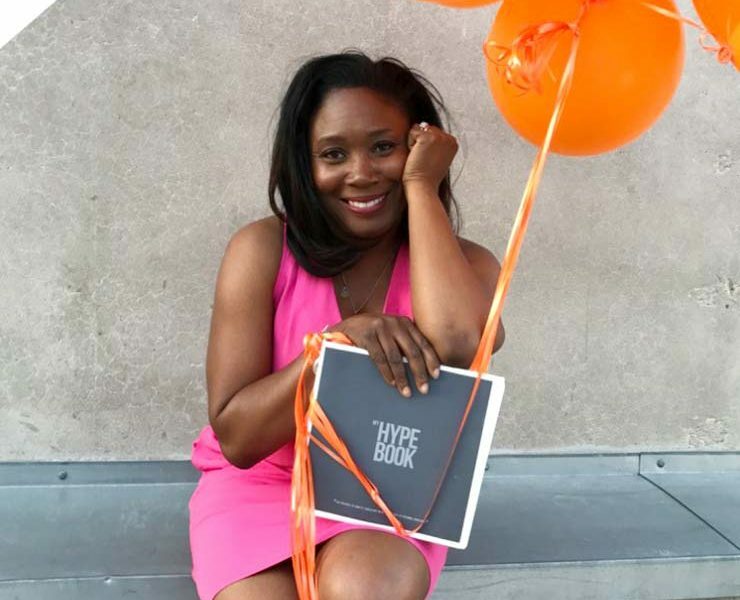 Yes, you should jump on this Bullet Journal train! A Bullet Journal aka Bujo is for people who like to keep track of things. 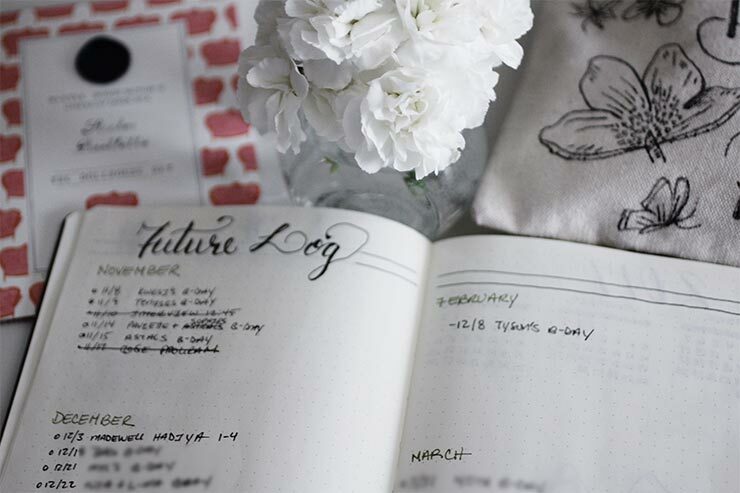 If at any point in your life you’ve used a planner, dairy, or journal this is for you. If you like to keep to do list on scrap pieces of paper or post-it notes, this is for you. Yes, I still use tech. I use the Calendar 5 app for events, appointments and task. I use the Any.do app to keep track of things I want to buy from the store. 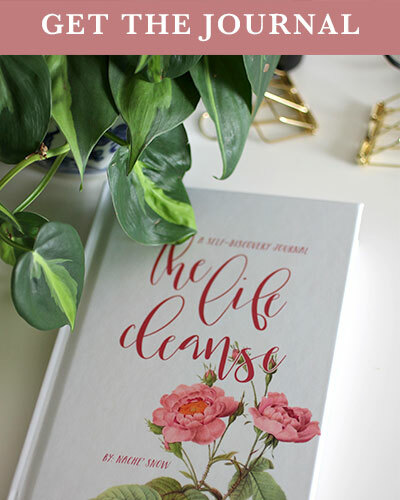 So why do I need a bullet journal? It helps me plan things out and see them all at once. Also, it forces me to be creative every week because I use my Bullet Journal to do artsy things. Most importantly it provides me with a bigger picture on what’s important to me. 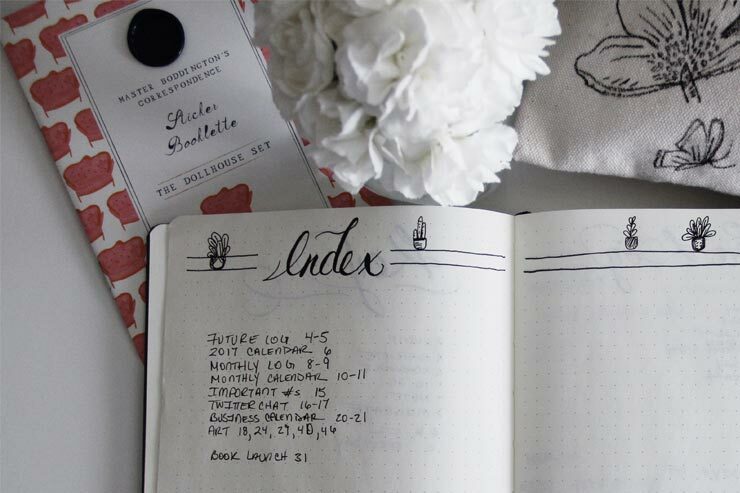 This guide will help you understand what a Bullet Journal is and the sections/modules that it is comprised of. If you feel overwhelmed you’re over thinking it. The key is to make the journal yours. There is no right or wrong way. Instead of a Bullet Journal, I really think of mine as a vision journal. A journal that allows me to understanding what I need to focus on now and in the future. a place for me to capture what inspires me. 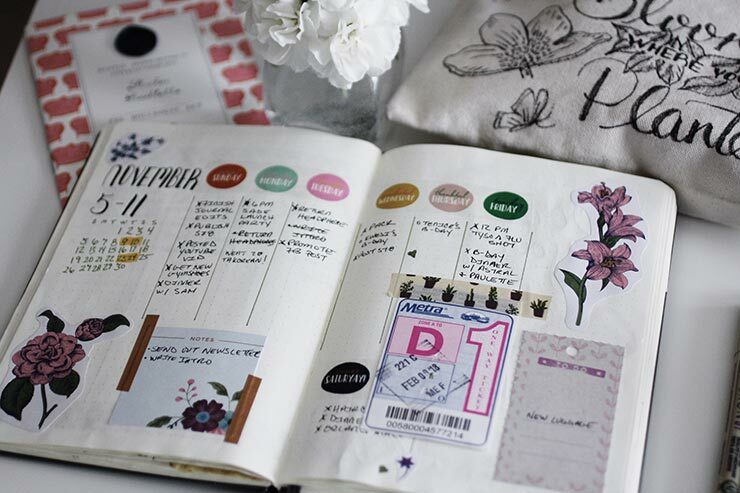 A Bullet Journal is a notebook that contains calendars, list, thoughts and inspiration created by the user. That’s right, you purchase a blank notebook and then fully customize the content the way you want it. Think of it as a planner/diary. 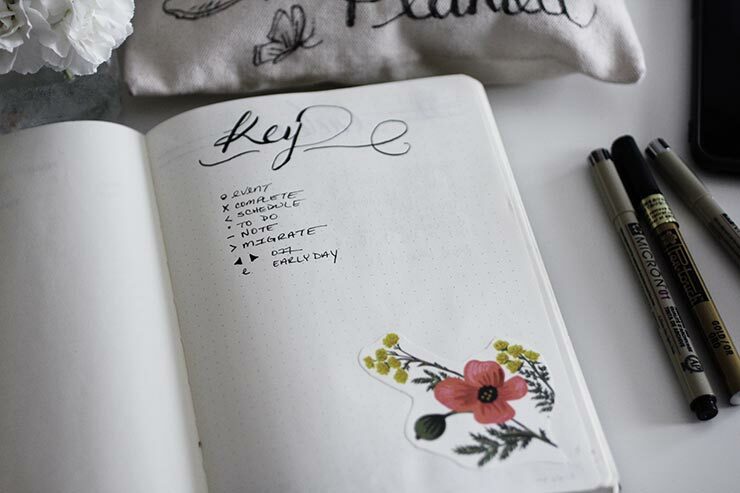 The core of the Bullet Journal system is the calendars and the to do lists, but if you look at what people are doing on Pinterest and Instagram you’ll see they have taken it a step forward by adding other creative elements to make it their own. Who Started The Bullet Journal? 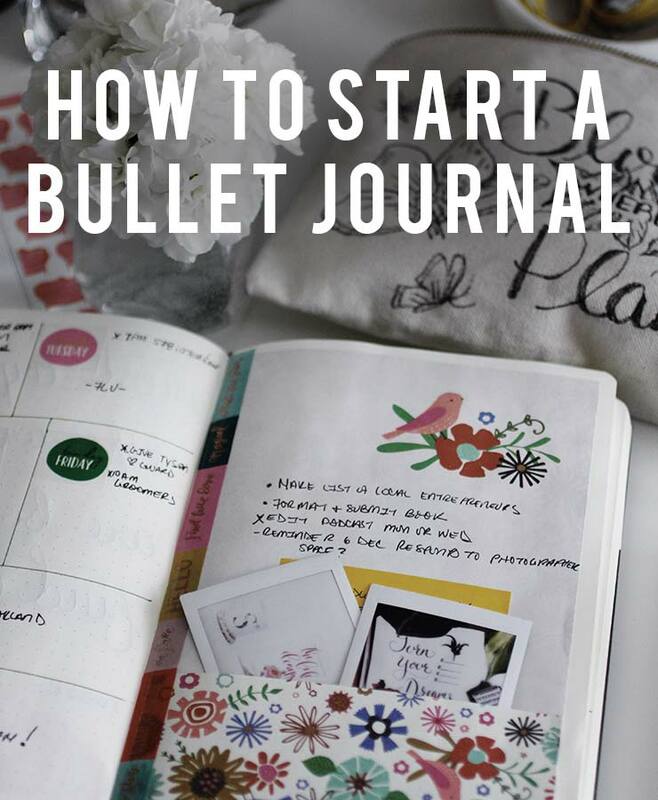 Bullet Journal® (or BuJo® for short) was created by Ryder Carroll, a digital product designer living in Brooklyn, NY. 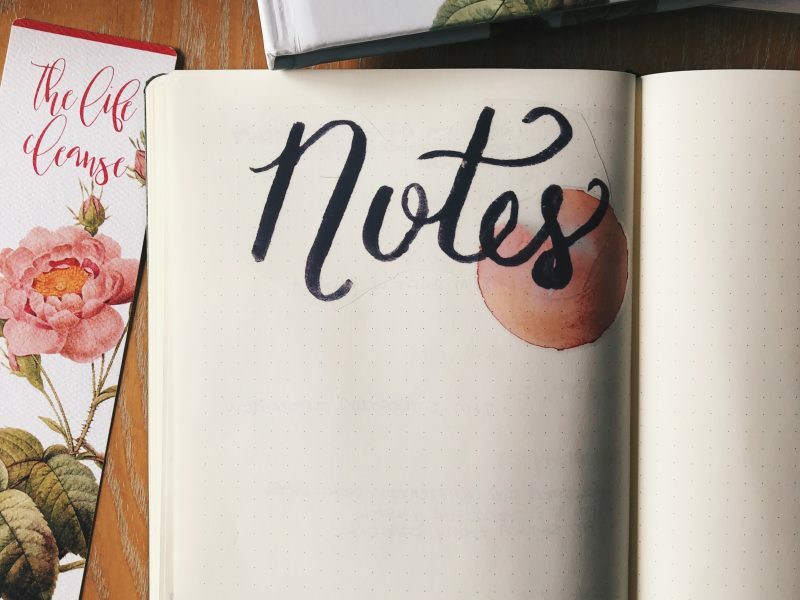 Through many years of trial and error, the system has evolved into the ideas on bulletjournal.com. Have you ever walked into a store for a planner and thought none of these are exactly what I want? Maybe you don’t like the weekly view or the calendar is to small. 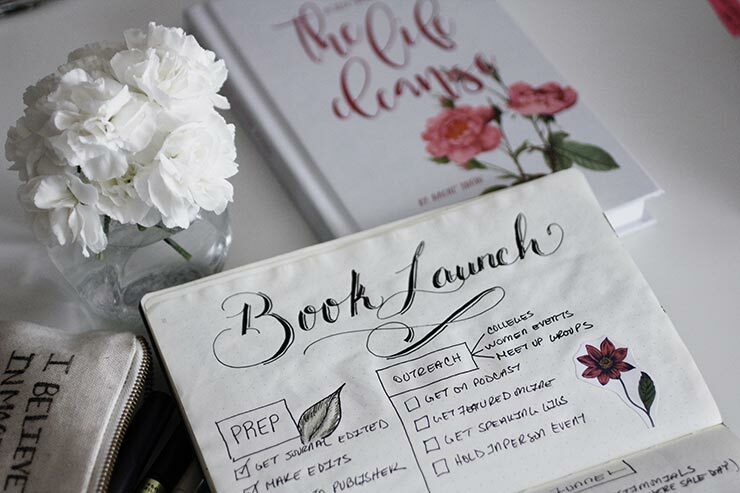 Well, with this system, you are literally designing your own planner. that’s the appeal. You may be thinking who has time for that! Actually, you can do it early on a Saturday or Sunday morning and it will take you less than 20 minutes to set it up. And since you carry it with you, as things come to mind you just jot them down quickly and keep it moving. Flexibility: you get to design your own notebook and it’s easy and convenient. 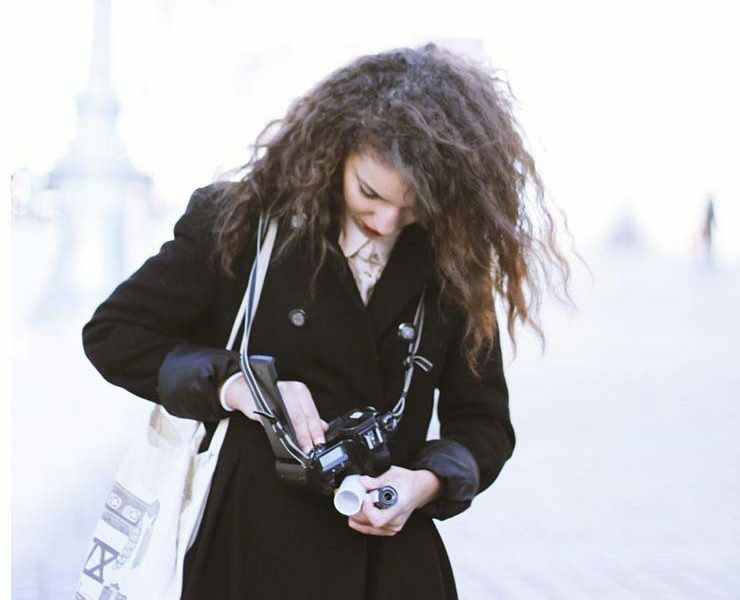 Creativity: It forces you to get off of tech for one second and put pen to paper. Reflection: you can look back in time to see what you’ve accomplished or what you were think at a certain point in time. 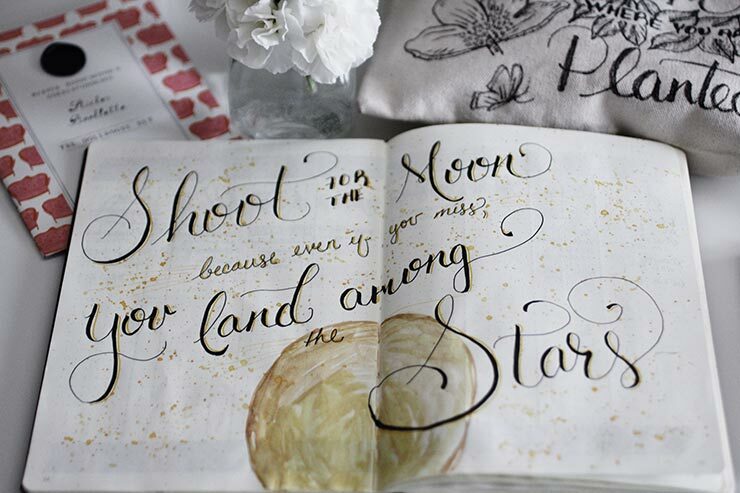 All you need is a notebook and something to write with, that’s it (seriously, you can do this for under 10 bucks). Ok, I do have some recommendations for you paper and pen nerds. This is by far the most popular notebook and what I use. People like it because the pages are already numbered making it easy for you to create a TOC. The pages are lightly dotted making it easy for you to follow a grid when creating calendars and other element requiring straight lines or exact measurements. It also has two ribbon bookmarks. I usually have one on the monthly calendar page and the other on the current week page. It has an elastic band to help keep it closed and the size is perfect for storage in your purse or bag. Lastly, the book opens flat making it easy for you to write and create on both sides. There is also a notebook that’s sold by the person that created the whole system. The notebook has many of the same features as the Leuchtturms1917 to include page numbers, ribbon bookmarks, dotted pages, good quality paper, etc. Ok, I can go crazy pants with pens. The type of pen you need really depends on what you’re planning to do with the journal. If it’s going to be primary text base you just need a good black or blue pen. If you’re going to do a lot of custom layouts with illustrations and other elements you may want to get fancy with the type of pencils/pens/markers you use. However, remember you don’t need anything fancy, your creativity will make it awesome. I’ve linked to the products on Amazon; however, I normally purchase my pens from local art stores (Micheals, Blick’s, Utrecht, Paper Source, etc.) because I like buying singles versus packs. These are currently in my pencil case that I carry with me everywhere; however, I have other pens at home I use time to time. Pilot Razor Point – I like the way it writes. Random fact you can also use it to write on glass. Pigma Micron – I have these in various point sizes (01 + 05) and colors. I like how they write and that they are archival ink. So my book should still look good 40 years from now. Uni Pin Fine Line 0.8 – The 0.8 pen gives a heavier weight, but I also have it in other sizes. Great for thickening a line on a illustration or just writing to do list. The pigment ink is water and fade proof. Tombow Fudenosuke Brush Pen 2 Pens Set – I use these to do my hand lettering. I have multiple sets because I like to have access to them everywhere and I purchase them from Amazon. Pentel Fude Touch Sign Pen, Black – This is my back up hand lettering pen. BIC Mechanical Pencils, 0.5 mm – This works for me when I need a pencil. I don’t usually draw out my spreads I just go for it with a pen and get creative with fixing mistakes. Sakura Pen-Touch Marker (Gold) – 0.7 mm Extra Fine – LOVE this pen. It writes solid gold. Great for embellishments. Staedtler Triplus Fineliner Marker Pen – 0.3 mm – Olive Green – I’m addicted to the color green. Love using this pen to do the line work when I want a lighter feeling spread. I can’t stress this enough, you don’t have to use all of these sections. Figure out what works for you. I’m just giving you the base so you know what your options are. 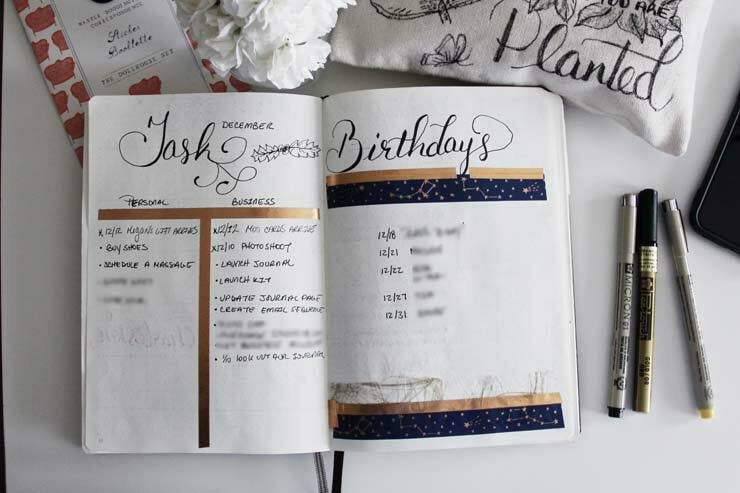 Some of the options I’m including aren’t part of the standard Bullet Journal system, as indicated. Also, keep in mind the beauty about this journal is you can start today. You don’t have to wait until the beginning of the year or month. Just start. This is your table of contents. You don’t have to keep track of every page, only things that are important to you. Key things to remember: when you start your journal leave a few blank pages so you have enough room to add content. Also, if you don’t have a notebook that’s already numbered you’ll have to number your pages if you want to keep a index. Several people do this and I’ve found it to be super useful. Create a page with important numbers that you can easily reference. Since you’re working in really time you need a way to keep track of important events happening in the future. In the future log section you create sections for the next 12 months. Under each month you add holidays, birthdays, and events that you’ll want to add to your calendar once you get to that month in your notebook. Most people, including me, like to draw out a calendar for each month. 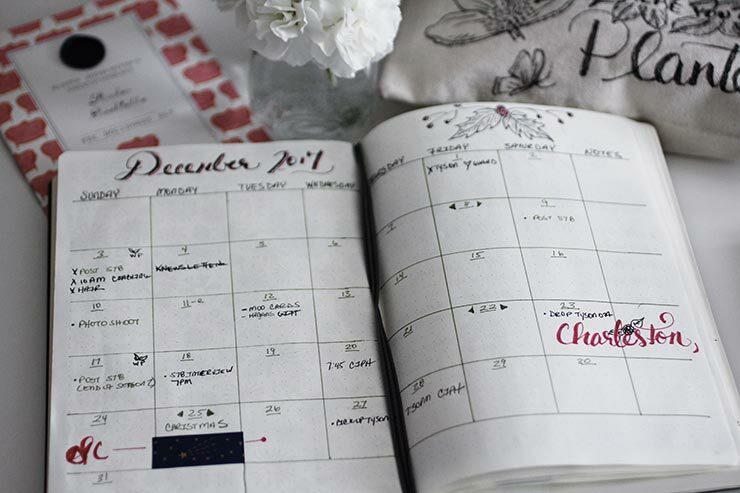 This allows you to see important events in a calendar format. The other page has a list of task. As the month goes on you should be adding some of these to your daily log. If you don’t get to some of the items then you add it to next months “Monthly Log.” Also, continue to add task you want to remember on this page. This is where the magic happens. 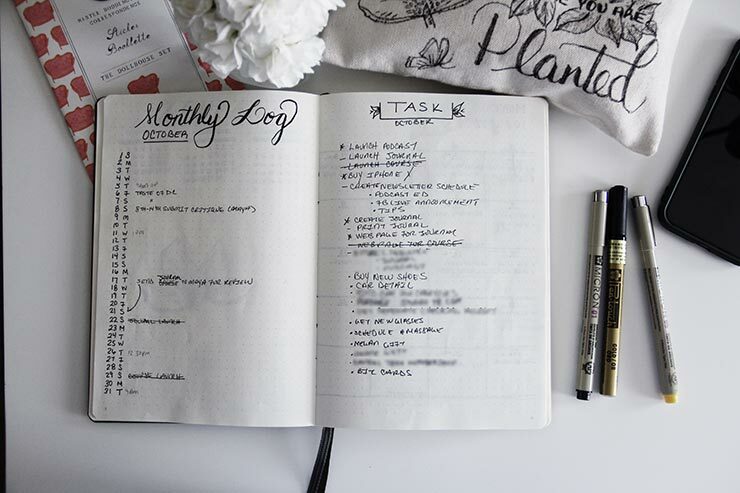 You create a page spread for the week and add your daily task under each day. Use your key system to mark items appropriately. For example, once you complete a task you can mark an X through the dot. If you don’t complete a task you can then add it to another day or if you don’t know when you’ll get to it add it to the task page under the Monthly Log so you can keep track of it. Once you get to a new month you can add all of your uncompleted task to the next months Monthly Log task page.